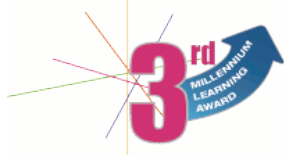 The aim of the 3rd Millennium Learning Award is to enable schools to demonstrate how they are providing an education fit for the 21st century. It celebrates schools' achievements in creating an environment and curriculum that stimulate more and better learning, making full use of the opportunities presented by technology. "Teachers and teaching assistants work extremely well together in setting high expectations for pupils' learning and behaviour in lessons. 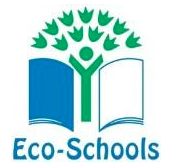 Pupils are valued as individuals and the school does much to raise their self esteem. It promotes their spiritual,moral,social & cultural development outstandingly well." " Pupils love coming to school because it is a very happy place where they feel safe. Staff manage behaviour exceptionally well so that no learning time is lost. The school's work to keep the pupils safe and secure is outstanding & attendance rates have improved significantly"
"A relaxed, fun filled atmosphere in which pupils are encouraged to be active participants"
requirement to provide assurance that schools have adequate arrangements in place to manage their resources effectively. The Standard is awarded to the school for good financial management practices, rather than to any individual, and requires renewal every three years. to recognise those schools and other settings that work with families to achieve the five outcomes of Every Child Matters. •To value and support the role that families play in the life of the child. •To support families in developing their children's achievement and self-esteem. •To help families participate in raising their children's achievement and self-esteem. •To promote social inclusion and a sense of well-being through positive participation in family life.